The Australian Mathematics Curriculum aims to ensure that students are confident, creative users and communicators of mathematics, able to investigate, represent and interpret situations in their personal and work lives and as active citizens. In Mathematics, the key ideas are the proficiency strands of understanding, fluency, problem-solving and reasoning. Paul Ernest speaking at the London Mathematical Society Conference explains why teaching mathematics is important. Banish Boring Show & Tell! My students LOVE Show & Tell but me? Not so much! There are only so many toys I can endure and let’s not get started on the toys that students sneak out on to the playground and are either confiscated or broken. In a pinch, Blutak will reunite Iron Man with his broken arm, but we all know it’s a quick fix…just enough to hold you over until home time! If you want a program that, once established, runs itself in the classroom, has a marking rubric, roster and 14 different topics as well as a letter home to parents then my Speaking & Listening Program available on Teachers Pay Teachers is for you. The pack includes links to the Australian Curriculum from Foundation through to Year Two, a guide on how to implement the program in your classroom, a print and display pack detailing each of the 14 topics, role of the chairperson and an active listening poster as well as a roster and letter home to parents. Altogether there are enough topics to see you through an entire year. I often use an iPad or my iPhone in the classroom to take videos of my teaching or photos of student work. I then need to upload and share the photos and videos across a range of platforms. A colleague mentioned Flick and suggested I try it. What a game changer! 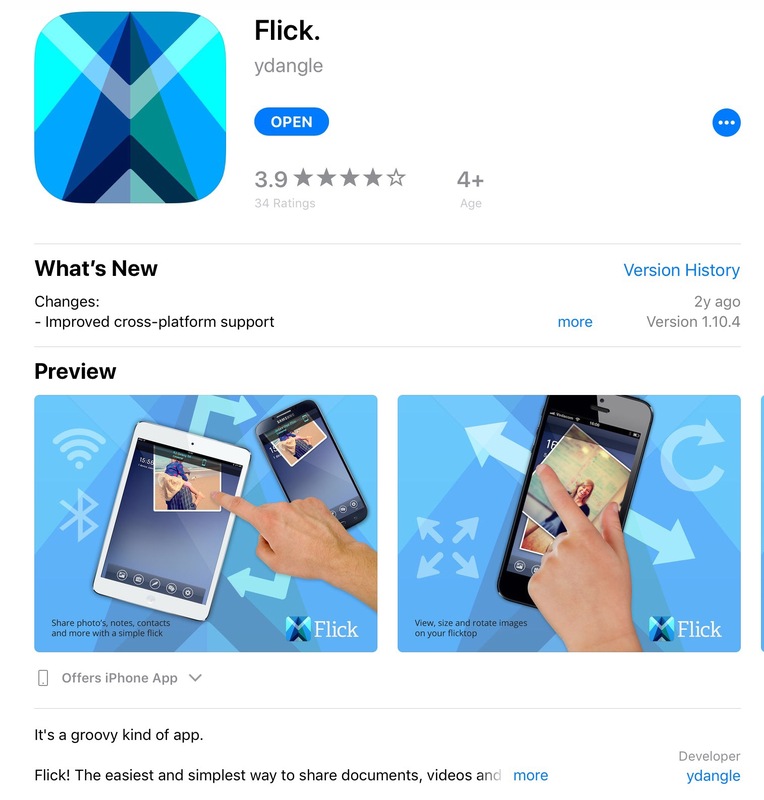 The app allows you to share documents, videos and images between iPhones, iPads and other devices and operating systems simply by flicking from one device to another running the app. The app uses both WiFi and Bluetooth to connect devices and share files. You can share other files such as Keynote, Pages and Numbers documents by accessing the “open in another app” feature. Try out the Auto Destruct feature and set your photos, notes or files to self destruct using the timer. Save received photos to your camera roll and email all files on the Flicktop in a single email. There are so many wonderful tech tools available to teachers but finding the time to investigate and explore whether a tool is worth the investment is always a challenge. When I first purchased a smart phone and later an iPad to support my teaching I developed the habit of asking teachers to share their top five apps. I am still using some of those apps and tools today to support my teaching. Each Tuesday I will share some of the tools and apps other teachers have shared with me and that I have discovered work well in the classroom. The app allows you to record your reader and track substitutions, omissions, repetitions and highlight efforts to sound out. Email a report of the audio, calculations and reading behaviours for your records. The calculator automatically calculates accuracy, words per minute and the self correction ratio. 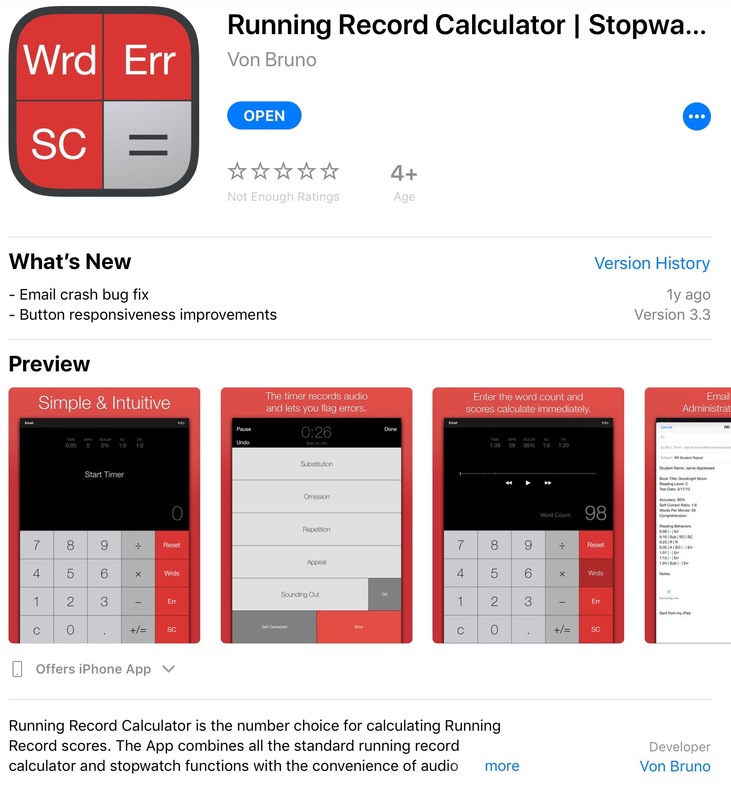 This app makes informal and formal running records easy to assess with the automatic calculations. At the start of every school year, I begin to think about classroom transitions and signalling students when an activity will end. I also plan for students who need a visual representation of elapsed time so that they can use their time appropriately to complete an activity. Over the years I have used a range of timers and have collated a few in this blog post, along with the links to purchase from Australian suppliers. This is not a sponsored post. Salon timers are a great tool to have in your teacher toolkit. They are robust, have a simple to use twist dial and you can set and forget them until they chime. The timer’s chime is subtle and won’t disturb the whole class. I love that they aren’t too expensive. I have purchased a set of six and have these in my reading groups tubs for students practising fluency or timed activities. Sand timers are a useful tool to have in your toolkit for individual students. I place these on students’ desks who need the extra support. They are also a great tool when completing an activity such as estimating time. How long is a second, minute, three minutes? What activities take one second, one minute three minutes? How many star jumps can you do in one minute, three minutes? I have students estimate and then check in small groups. Students then report back to the class and share their findings. We then work together to create a class set of posters to display. My favourite timer for whole class use is the Elapsed Time Clock. These can be displayed on a desktop, hung on the wall and there are now magnetic backed versions which can be displayed on your whiteboard. Perfect for teaching elapsed time and for students who need a visual reminder when managing and planning their work. If you are keen on technology and have an interactive whiteboard there are some fabulous Teachers Pay Teachers resources you can access. My absolute favourite that I use daily in the classroom is by Teach Create Motivate. Ashley’s classroom slides with timers is a huge file to download, but oh so easy to customise. I’ve incorporated Kate Hadfield Designs clip art and doodles to add my own flair and customise the slides for my classroom needs.